The following land pollution facts and statistics are supposed to represent the scale of this global issue that is one of the biggest Earth’s problems in 21st century. To make things easier, we have grouped all of the facts about pollution in five separate groups. Learn why U.S. and China are the countries most influenced by land pollution, which are the land pollution causes and how the rest of the world copes with this natural disaster. In the end of the post there is an overall information on earth pollution that is supposed to inform, educate and provoke you to take action just like Rubbish Please does. USA has lost 831 square miles of forest during the period 2001 – 2005. 500 years are need for the regeneration of 2.5 cm of topsoil. The US loses topsoil 17 times faster than its being formed again. 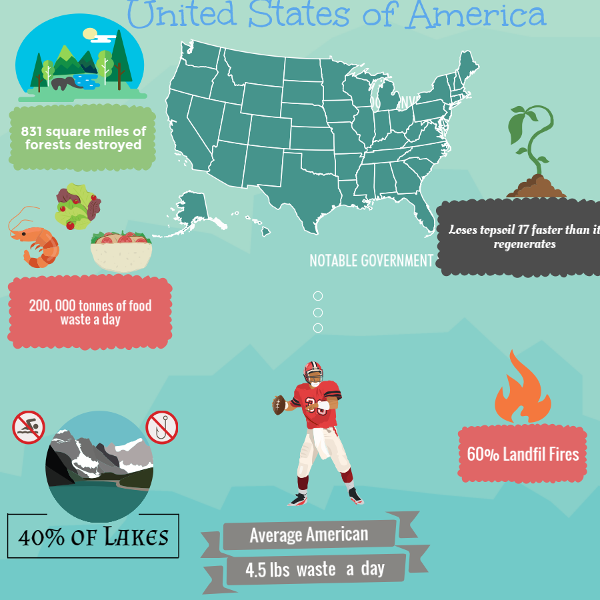 Americans are only 5% of the world population but produce 30% of the waste globally. 200 000 tonnes of completely edible food is being thrown away each day only in US. Its decomposure significantly emits methane in the soil. According to US Fire Administration, in 2001 an estimate of 8100 fires happened, many of which due to natural ignition of landfills because of the heat generated from the emissions. That produces huge amount of gases that further cause air pollution. 22 barrels of toxic waste was disposed in the Love Canal, US in the late 1970s. Many of the families living nearby the place of disaster later suffered from Leukemia, high red blood cells count. It took about 30 years for the area to become inhabited again. Greenpoint oil spill is one of the biggest that has ever occurred in the US. An estimate of 17 and 30 million gallons of oil that was spilled later leaked in the soil causing one of the biggest land pollution disasters in the history of America. The Murphy Refinery spill happened because of malfunction of a storage tank due to a massive flood. Over 1700 homes were impacted by the massive spill of about 90 000 barrels of oil – approximately 4 million gallons. Brudhoe Bay Spill was observed in 2006 after a 5 days leak of more than 267, 000 US gallons of oil that was spilled across 1 900 acres of land. This is to be considered the largest spill in the area of Alaska’s north slope even until now. The company that was responsible for the disaster payed $25 000 000 civil penalty. The average american produces 4.5 (about 2kg) pounds of rubbish a day. About 40% of the lakes in the U.S. are so severely polluted that fishing and swimming in them is not allowed. The aquatic life doesn’t exist or is heavily damaged. 82.8% of the soil in China contains contaminants such as copper, lead, mercury, arsenic etc making China one of the most affected countries by the world pollution. One of the leading reasons for China’s soil contamination is the rapid increase of population since 1980. 100, 000 km² of China’s cultivated land is highly polluted and food cultivation in it is either impossible or extremely dangerous. 2 million miles of land has been destroyed because of solid waste. 19 million tonnes of grain is contaminated every year because of heavy metals due to land pollution. That results in $2.6 billion of loses. All of the rice crops in Guangzhou were found to be contaminated with cadmium that causes kidney failure and cancer due to heavy soil pollution and treatment with contaminated water. Research in the period of 2013-2015 shows that 16% and 19% of the arable land of China soil is contaminated . 82.8% of the land pollutants in China are not organic. 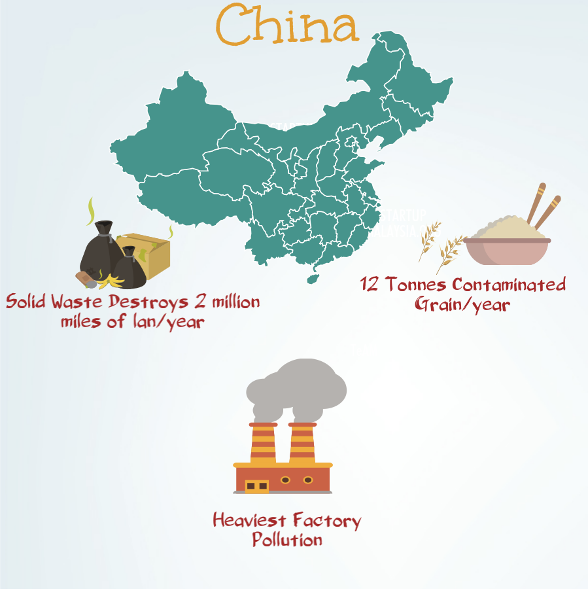 China produces 12 million tonnes of grain a year that is contaminated by heavy metals which is worth $3.2 billion. Factory pollution in China is so excessive that factories in Beijing have to close when the smog gets too heavy. 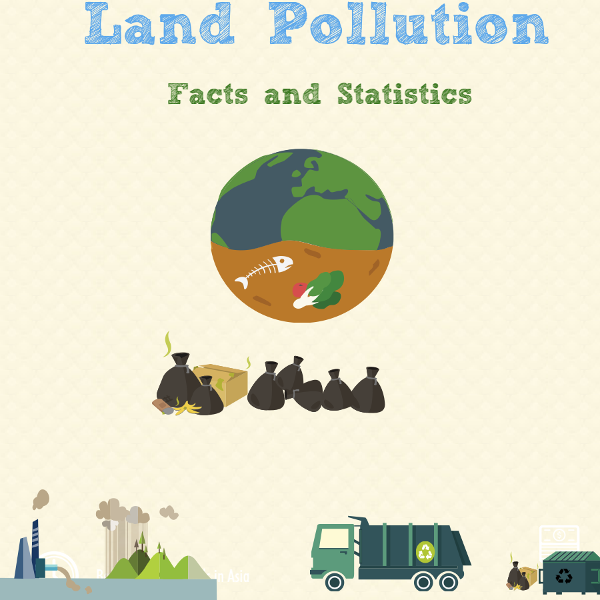 Land Pollution Statistics And Facts About The Environment. 400 million tons of hazardous waste is produced annually around the globe. This is one of the biggest acts of human pollution. Conserving energy helps for reducing the amounts of acid rains. Power plants produce energy based on how much is being used by the household. The lower that quantity is, the fewer acid rains we’ll see. 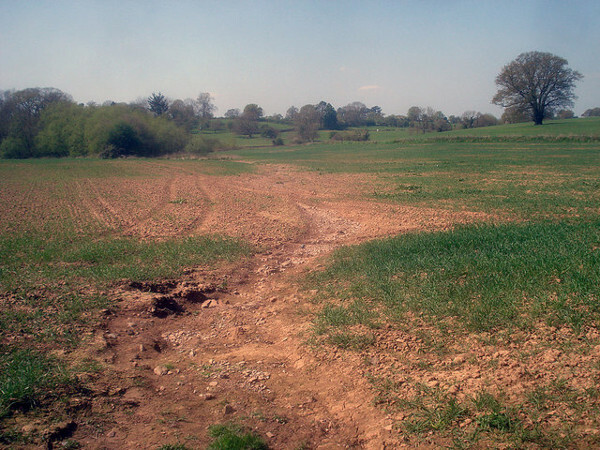 3.6 million hectares were destroyed by soil erosion in 2011. Energy production and food waste are the reason for about 80% of the land pollution. 80% of the items on the landfills are recyclable. The planet loses 24 billion tonnes of topsoil each year because of land pollution. The rubbish we globally generate is enough to fill 63 000 waste removal trucks. Much of this refuse causes land pollution after being disposed. 1 ton of oil is spilled for every 1 million tonnes of oil being transported. Agricultural activities are the reason for a significant percent of the land pollution. That would be anything related to fertilizing, using pesticides, irrigation and improper disposal of animal waste. About 22% of the coral reefs have been destroyed because of land pollution causing further pollution types. 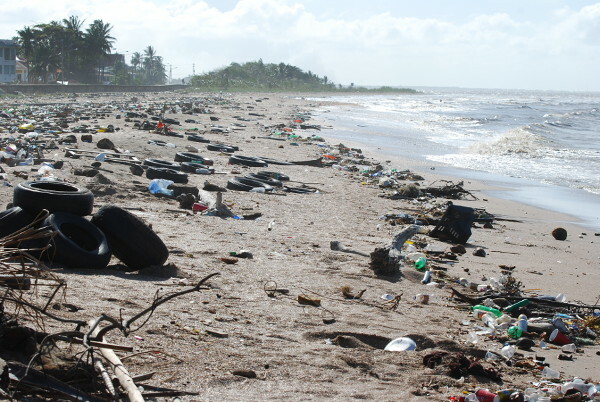 The access to over 20 000 beaches was fully limited in 2009 because of the causes of pollution . 80% of the world’s forest has been destroyed already. 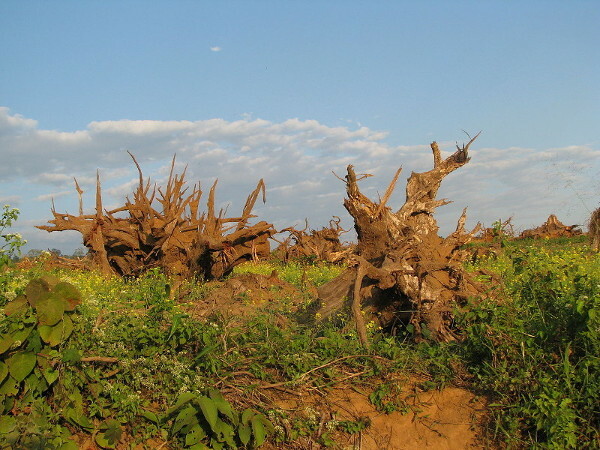 In South Africa 90% of the tropical forest cover is demolished. Persistent organic pollutants like the pesticides DDT and Aldrin are able to increase their harmful potential by up to 70 000 times. The reason for that is that they are able to remain in the atmosphere for several years. For 10 year between 1997 and 2007 the waste produced per person in Australia has increased by about 80% – from 1200 kg per year to 2 100 kg. The contaminants in the soil are being swiped by current which spreads the contamination and increases the natural pollution. 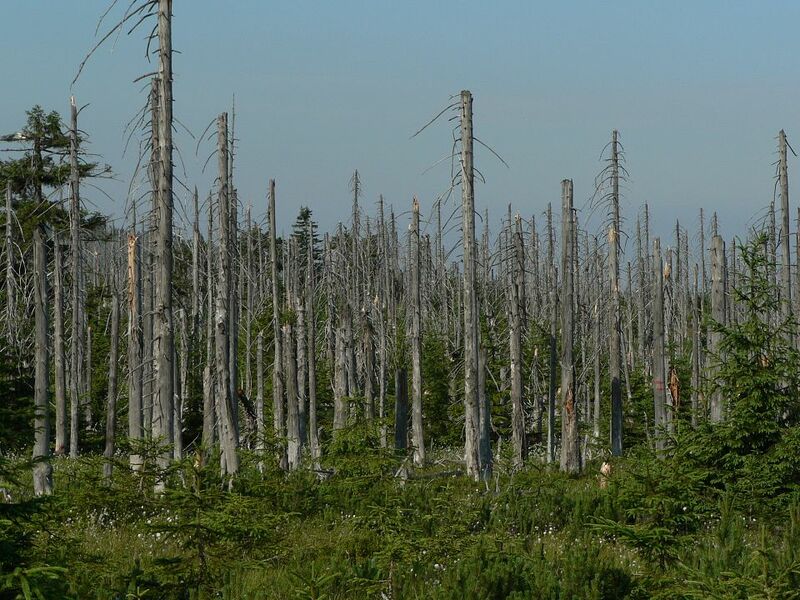 Trees are able to fully absorb toxins that are later passed onto other forms of life.1 million seabirds and more than 100 million mammals die each year because of overall pollution. 80% of the dead birds have some form of plastic waste in their stomachs. Between 0.16% – 1.6% of the overall sea lions and seals population dies because of entanglement in monofilament line. Alternations in the metabolism of some microorganism which may disrupt the food chain causing extinction of vital species. Forms of life like worms absorb most of the toxins in the soil that are afterwards being transferred in the food chain when the toxic organisms get consumed by larger species. The animals upper in the foodchain get eventually consumed by human species which creates a deadly circle. An estimate of 1015 sea otters died because of the Exxon Valdez spill – a sea pollution with a devastating effect. Half of the population is drinking water that is unsafe that has been contaminated by environmental pollution of the land. A kid dies every 8 seconds because of polluted water that’s been intoxicated because of land pollution mostly in Africa. Causes cancer of most types, including Leukemia. Water contaminated with lead causes severe brain damage. Children are the most exposed to this threat. Cyclodienes causes liver toxicity and mercury significantly reduces the risk of kidney diseases. What is Land Pollution ? Land pollution occurs when liquid or solid waste materials are being disposed either on the land surface or buried underground. If that in some way contaminates the soil or imposes threat to the health of the people nearby, that means the land has been polluted. It’s highly risky to establish any direct contact with contaminated soil or inhale any vapors from the pollutants that have been discarded. Always have precise observation of the groundwater in the area where you live, if you see anything unusual, it is a sign of ground impurity. What are The Different types of Land Pollution ? That is the most ancient method of discarding unusable materials and all sorts of rubbish by burying them underground. That place turns into a landfill site and after such process of waste management it becomes a huge source of contaminants that destroy all the soil nearby. Landfills are also a very good option for temporary storage of waste materials until their recyclation or incineration. Most of the components that are being dumped there comes from households. The average person manages to generate approximately 4 pounds of household waste per day and about 55% it ends up at the dumping ground. The manufacturing industry became extremely popular after the Industrial revolution and left a significant mark on the human history. It is still a key sector of labour in many developed countries but this complicated process is related to the production of tons of toxic materials extracted from the used resources. Initially the industrial activities were mainly focused on steel and coal productions but after the electricity industry things have changed. Nuclear energy is related with nuclear waste generation which has to be disposed appropriately, otherwise it may be very destructive to the land. This is any liquid, solid or sludge litter that contains toxic, poisonous or radiant substances, heavy metals or threatening pathogens. Despite most of it coming from mass production facilities, households generate that type of trash too. Items from your house like batteries, electronics or cleaning materials are hazardous as well. Such chemicals are highly devastating for the earth that they are disposed at. A strict policy and professional attitude is required when dealing with hazardous rubbish. Trees are integral part of the life of all living species. They provide the natural habitat of the animals and provide the people on earth with precious wood resources which are used for heating, furniture and crafts. In addition to this, the main role of the trees are to absorb the carbon dioxide in the atmosphere and to emit pure oxygen that creates and sustains all life forms. When it comes to the soil, it would not exist if there weren’t any trees to replenish it. Deforestation prevents this healing process and leaves the ground unable to preserve its precious nutrients without the help of the trees. After we presented you some of the most notable types of pollution it’s time for more specific information about the processes which are extremely unfriendly to the Earth’s land. Such activities cannot be stopped completely but have to look forward into adopting more environmentally friendly strategies for reducing the impact on the natural wealths. Coal ashes are the toxic remains after the process of burning coal for the production of energy in power plants or just for heating your own home. The chemicals contained inside the ash are so poisonous that can lead to cancer development or reproductive disorders in people. 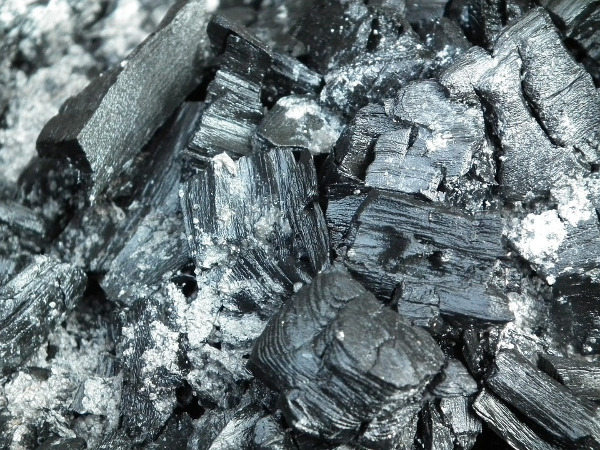 Most of the metals in the coal such as lead remain in the coal ashes but more threatening to the environment are the PAHs ( polynuclear aromatic hydrocarbons). If the concentration of PAHs in the soil are high, the risk of potential dangers for its quality increases vastly, usually the volume of PAH in th soil is about 1 mg/kg. Biosolids, also known as sewage sludge, have been used as fertilizers in the past. These are byproduct generated from treatments of sewages. However, recent studies and statistics show that such substances are more likely to be harmful to the ground because of the heavy metals and pesticides it contains. Even that some of the post-products of sewage treatment end up at the landfill, a huge quantity gets soaked into the soil and pollutes it. The process of extracting precious minerals and other geological materials require specific methods of operation, most of which are not eco-friendly. Not very rarely, mining goes hand in hand with deforestation because more space is required of the mined materials and trees obviously prevent that if they are too close to the mining sites. Oil mills are on of the world’s highest waste generators. For the production of 1 ton of copper 99 tons of waste product is generated. 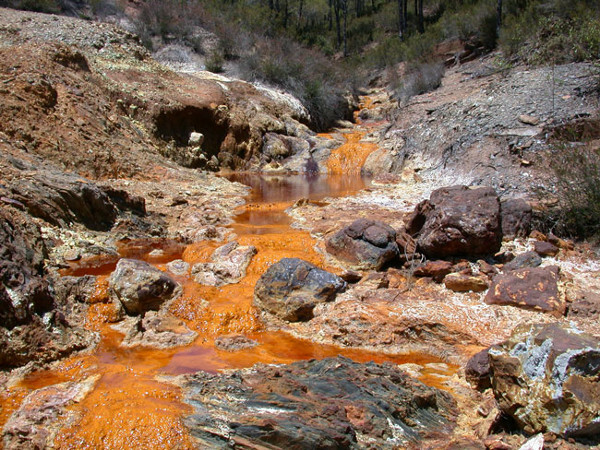 What is left behind is called tailings and is usually highly toxic. A huge percent of it gets dumped at the landfill and that way an inevitable cycle of land pollution is being created. Most of you have seen or even used these to kill any of the unwanted weeds in your garden. Most of the herbicides are not harmful for the plants but a specific group are based on the structure of the trinitrotoluene and contain very destructive toxin when herbicides make contact with the earth. 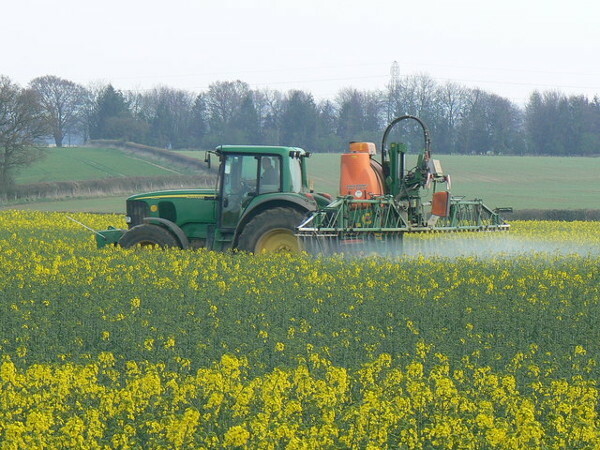 Pesticides are used to exterminate all pests that interfere with the efforts of humans to grow their own crops. Up to 98% of the herbicides and 95% of the pesticides end up at the topsoil and then go even deeper. That reduces the biodiversity in the ground because of the reduction of organic matter inside leading to soil degradation. Everyone owns electronic devices or at least stores some at their home. Sooner or later a certain piece of electronics device get broken or outdated and you have to replace it with a new one. Sadly, only about 13% of it is being recycled. The rest of it gets dumped or exported in less developed countries like India because it’s cheaper than recycling it. Some of the most dangerous substances in the discarded electronic items are: dioxin, mercury, hydrocarbons, lead, cadmium, beryllium oxide etc. Guyiu, city in China, is polluted from the electronic rubbish disposal so hard that the levels of dioxin after a study were 100 times higher after previous measures. Computer wires are the source of hydrocarbon ashes that are released into the soil. That happens after the process of burning them in order to produce copper. When various pollutants that circulate in the air get mixed with the falling rain, it turns into acid rain that falls directly onto the ground. The structure of the soil and the nutrients inside are very sensitive to the acidic substances and get damaged significantly or destroyed completely by it. Improving the quality of the air in the atmosphere greatly reduces the amounts of acid rain falls. Reduction in crop yields is the most common issue when it comes to disorders in the metabolism of plants, caused by contaminants. When crops, grown in low-quality soil are harvested, the pollutants get into the food chain and the people consuming the food are highly affected too. That’s the main reason why society should be highly concerned about the condition of the land in which seeds are planted. That is natural process of soil degradation caused by water and wind erosion. However, human activities are the the leading reason for drastic increase in this phenomenon. Globally it has increased by about 25 times approximately. Mankind usually interferes with actions like building roads, intensive agricultural procedures but climate change speaks for itself mostly. Chronic diseases are formed when people consume water that is polluted because of the soil it establishes contact with. The agricultural operations leave behind huge amounts of ammonia and nitrate-based chemicals which are wide-known as water pollutants. Certain operations like spreading salt on the road during the winter to prevent accidents on the road, is another cause of groundwater contamination. When all the snow melts, the salts enter into the ecosystem along with it and become part of our daily menu. 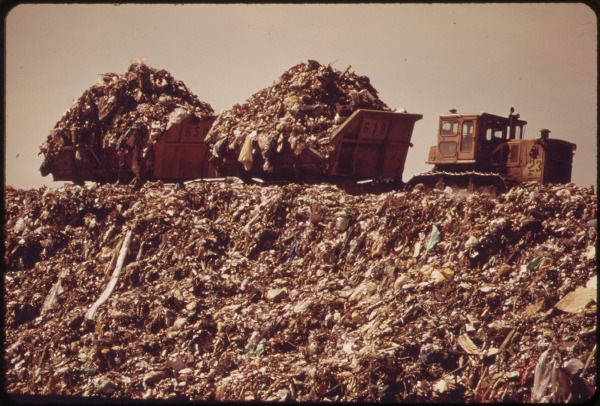 Leak of hazardous materials on landfills easily soak into the soil and reach the groundwater. High concentrations of this have negative impact even if they mix with tons of water. Despite having become almost natural to have polluted lands, this negative process can be controlled and the statistics about it are improvable. The effects of land pollution will never be inverted but if proper actions are taken, future development and complications on the ecosystem can be prevented. We’re sure you can spend some effort on adopting strategies for reducing the amount of household rubbish you generate. That can be easily achieved by using less plastic items by replacing them with reusable metal ones. When it comes to organic waste, you can always find a way to store your food in the fridge more efficiently which will increase its expiry date. That way you’ll throw less junk and will save money. It’s up to you whether you will do a conventional reuse or a creative one. In the first case you’ll use one item several times for the same purpose. Just like filling your lighter with gas instead of trashing it and buying new one which will only generate plastic rubbish. The creative reusing is the more preferable one if you’re an artistic person. Next time when you’re on the verge of throwing away a piece of furniture from your home, just think about all the possibilities which you can take advantage of instead. When something stops being useful to us that doesn’t mean it is worth being dumped at the landfill. Recycling it into something new reduces the global footprint of carbon dioxide and stimulates the circular economy which has proven as the most effective one when looking forward to preserving the nature. The positive aspects of recycling are just way too many to simply ignore that process. All of the initiatives explained above are working very well one by one but what is truly remarkable is their potential when a synergy of all the three is achieved. When you have learned how to reduce the amount of waste at your home, which something rubbish removal specialists from London advice to do, there will be much less left for reusing. Once you’ve done that recycling will be an activity you’ll do quite rarely because there will hardly be anything left for recycling. Posted in Live green, Waste Facts and Numbers and tagged land contamination, land pollution, rubbish pollution. Bookmark the permalink.